Last October, I took part in Inktober. I couldn’t finish the month, unfortunately, but it was good for me to get back into analog drawing. As I mentioned elsewhere, there were a few concepts from my sketches that I liked and wanted to finish. The Dark Lady is one of them. I play Alliance in World of Warcraft, but that’s just how I started. If I had to do it all over again, I’d maybe roll a Horde character instead. 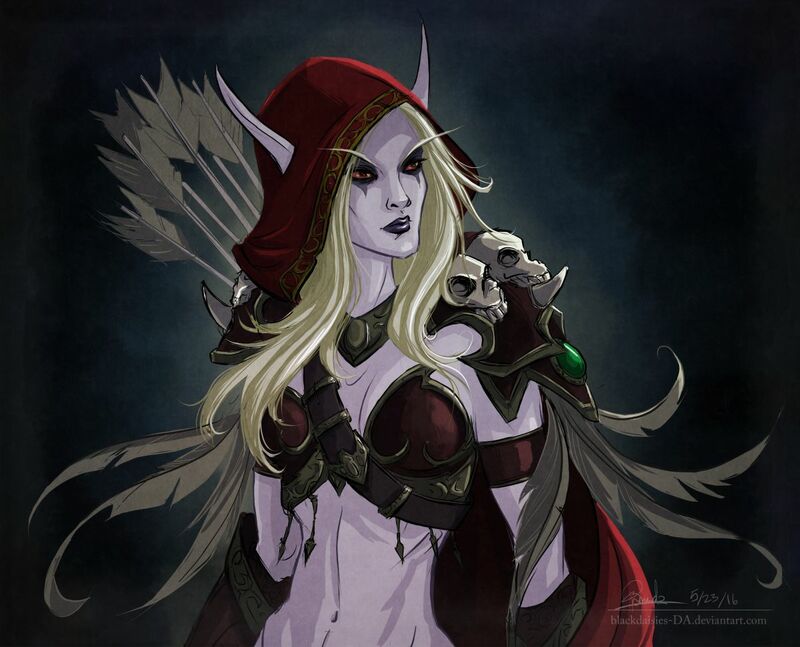 The story of Sylvanas Windrunner always intrigued me, though I gravitate towards hot undead characters anyway. She was the Ranger General of Silvermoon, before she was turned into a banshee after her death by the Lich King. After regaining her free will, she became the leader of the Forsaken. This was based off of one of my Inktober sketches. I sketched it out again in Clip Studio Paint, cleaned it and coloured it. I kept the line work loose and the colours “comic book”. I’m planning a series of WoW related fan art, and not just because the game is my current addiction; I really need to get to drawing again.